Meet the new heir to the autoflowering cannabis throne, Royal Gorilla Automatic. 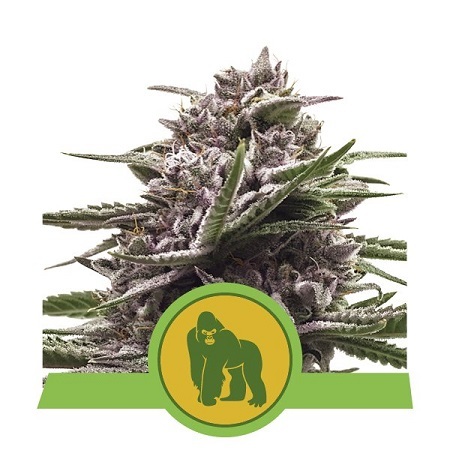 Royal Gorilla Automatic Feminized Cannabis Seeds by Royal Queen Seeds: Meet the new heir to the autoflowering cannabis throne, Royal Gorilla Automatic. The breeders at Royal Queen Seeds have blended the most potent and decadent photoperiod strains in the catalogue - Royal Gorilla and Royal Cookies - with ruderalis genetics to create the spectacular Royal Gorilla Automatic.